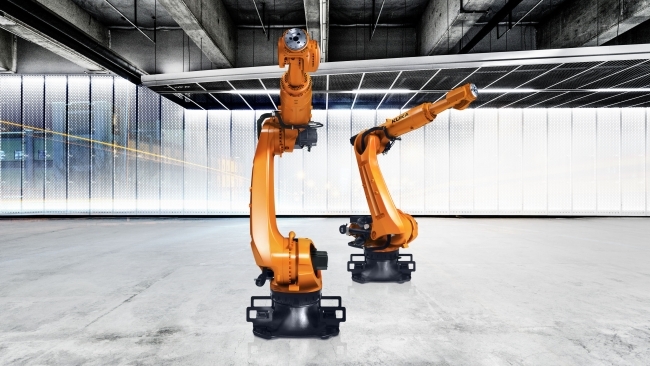 Automation specialist KUKA has retooled its best-selling product series to date: the KR QUANTEC. The new generation can be ordered from January onwards with initial delivery scheduled for April 2019. The series has, among other things, been optimized in terms of performance, cost-effectiveness and flexibility and continues to offer the largest payload and reach portfolio on the market in the high payload category. KUKA’s best-selling robot gets even better. Since its market launch in 2010, over 100,000 KR QUANTEC series robots have been delivered. The reasons for this are high reliability and the ‘all-purpose’ robot’s uniquely broad spectrum of applications compared to competitors. With a payload capacity between 120 and 300 kg, the robots are designed for use in nearly every market segment – such as the automotive industry, the foundry sector and the medical field, as well as for processing and handling tasks. The new generation KR QUANTEC has been optimized for a large variety of improvements. For example, thanks to a slimmer modular system, delivery times are reduced significantly. “Even while we have improved delivery times, we can also offer our customers flexible, tailor-made robots that represent a sound investment in the future. This is largely due to an option of upgrading payload capacity, high variability through special-purpose variants and technical optimizations such as shortened stopping distances or an optimized working range,” states Wolfgang Bildl. The updated design leads to a lower total cost of ownership (TCO) since previous maintenance measures are partially eliminated. The KR QUANTEC will also be easier to care for over time: Downtimes and maintenance requirements are minimized through the inclusion of a new cable and energy supply system concept as well as a reduction in the number of spare parts (keyword: optimized modular system). The new KR QUANTEC therefore offers even higher availability and a faster start-up phase. The new KR QUANTEC generation is equipped for additional ‘motion modes’. These are software add-ons which ensure optimal robot motion for specific applications. The ‘path mode’ allows for CP motion with greater accuracy and precision while the ‘dynamic mode’ increases speed and thus reduces cycle time at bottlenecks in the production lines. The motion modes dynamically control the motion of the robot and expand its properties, ensuring ideal process quality. The first motion modes are slated for availability in the second half of 2019 and can be loaded easily via the robot controller.